Did you know there is an official website devoted entirely to President Thomas S. Monson? Recent news has emphasized how Church leaders have taken to social media and the Internet without mentioning the 16th president of the Church of Jesus Christ of Latter-day Saints has an official Church information website. A visit to the site will both inform and inspire you regarding this remarkable prophet, leader, humanitarian, and role-model. To get started go to http://www.thomassmonson.org. 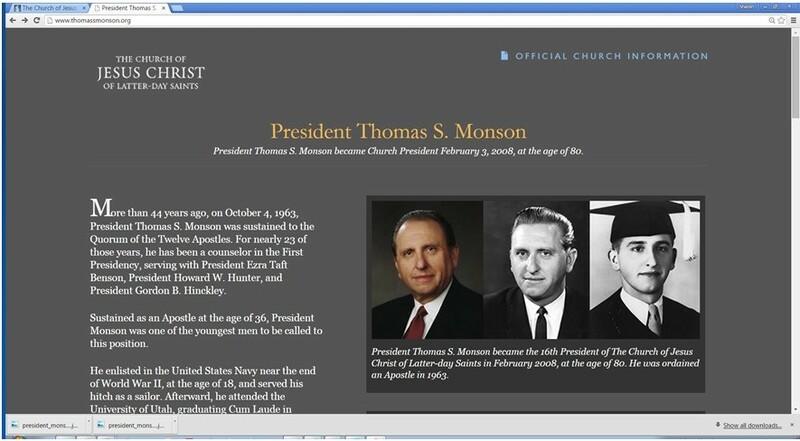 The landing page features a short biography, photos, a video introduction, and links to transcripts and more videos and audio of talks by and about President Thomas S. Monson. Headers and titles throughout become hyperlinks that connect to lds.org resources, aggregating content for ease of use. One link at the end of the biography on the landing page takes you to the Newsroom.lds.org for the official announcement of the calling of President Monson to lead the Church and to more information about many inspiring things President Monson has accomplished in his long tenure of service in the Church. 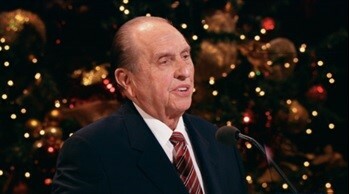 A timeline of President Monson’s life is shown on a ribbon that scrolls horizontally with highlights and photos. You will find faith-promoting excerpts from President Monson’s life experiences throughout, which would serve as the kernel for a talk, a family home evening lesson, or a gospel discussion. Listen, print, or download materials. Share what inspires you using links to social media, and use the resources available to bless your own life and any who are within your reach.